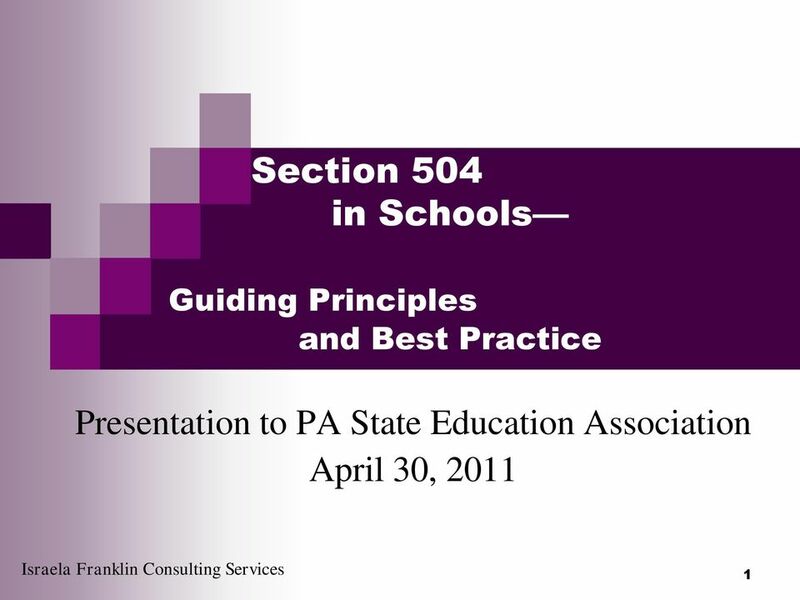 Download "Section 504 in Schools"
CESD Section 504 Compliance System Forms and Procedures ***An important note about the ADA Amendments Act of 2008 (ADAAA). 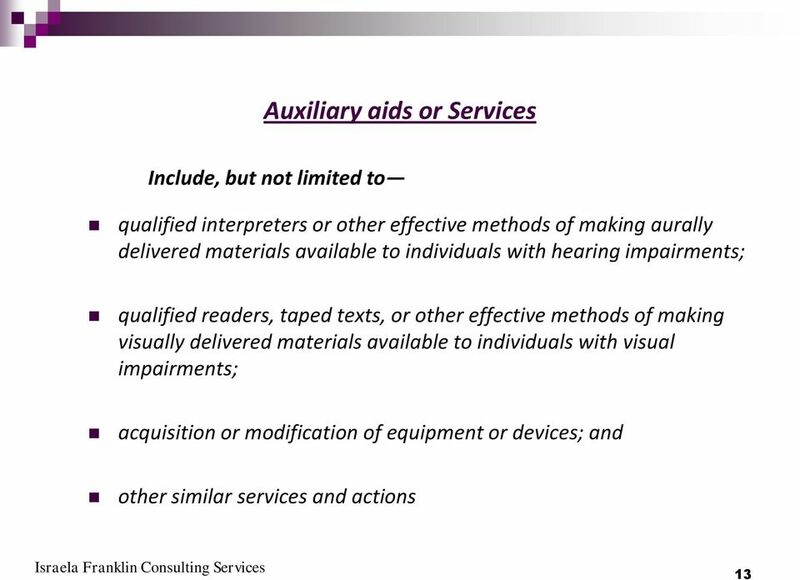 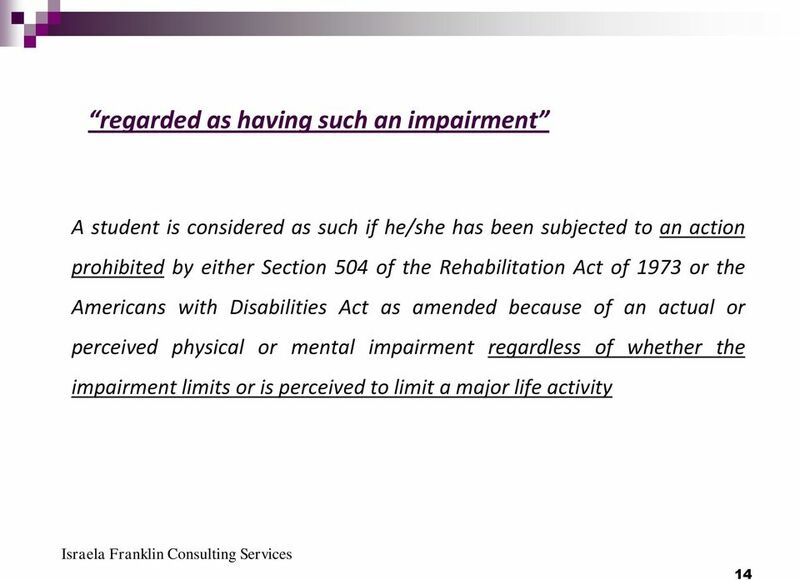 Employee Request For Reasonable Accommodation Americans With Disabilities Act (ADA) Instructions for Employee: Step 1: Complete the Employee Information section on the next page. 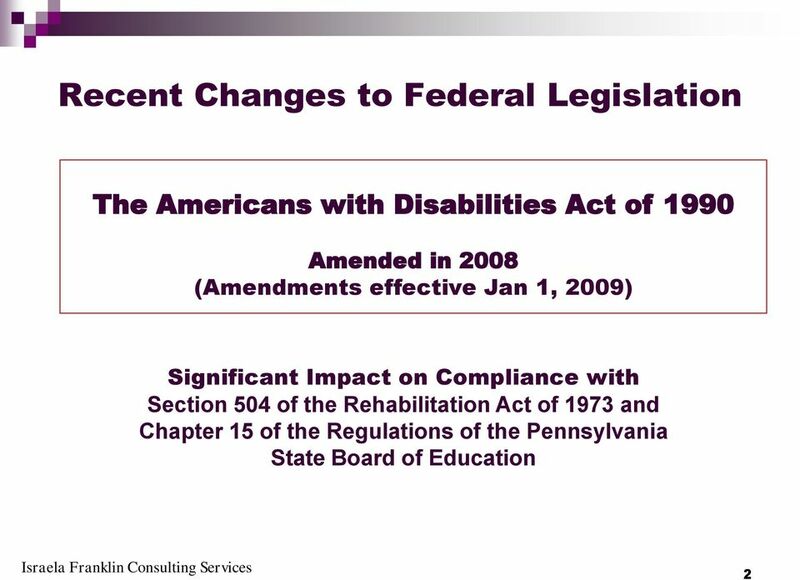 Sign and date where indicated. 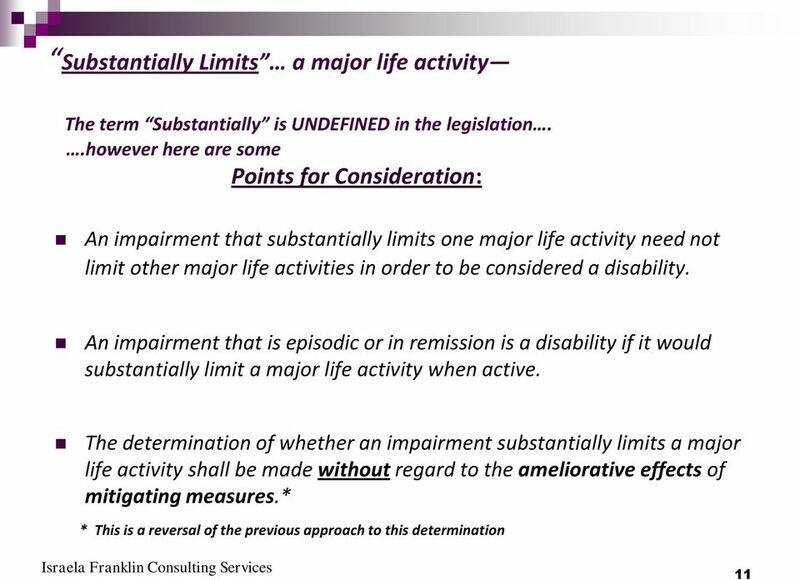 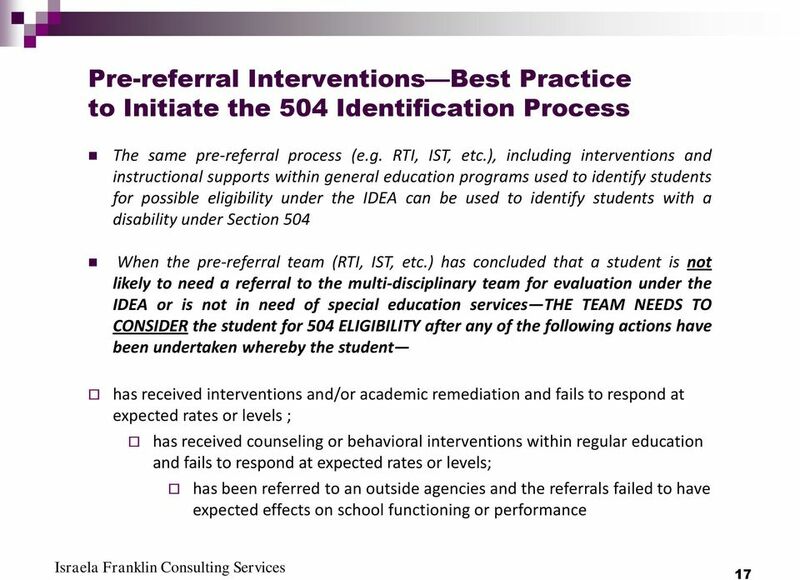 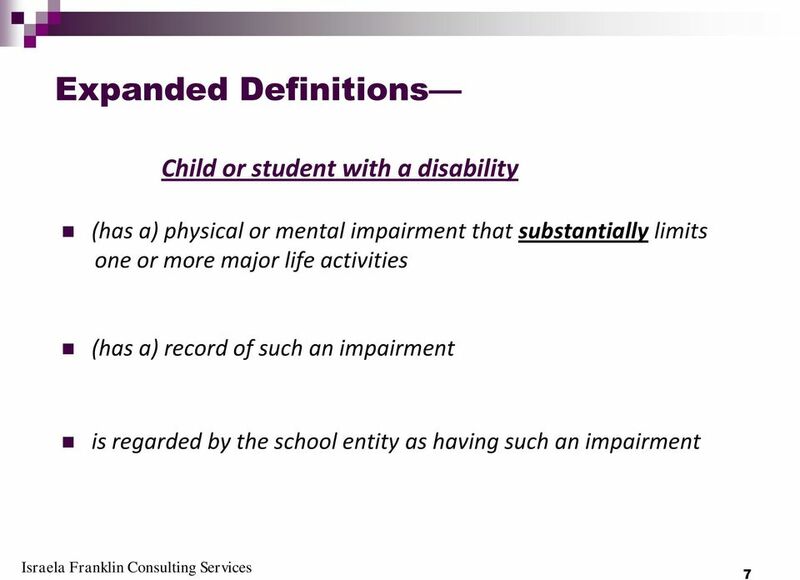 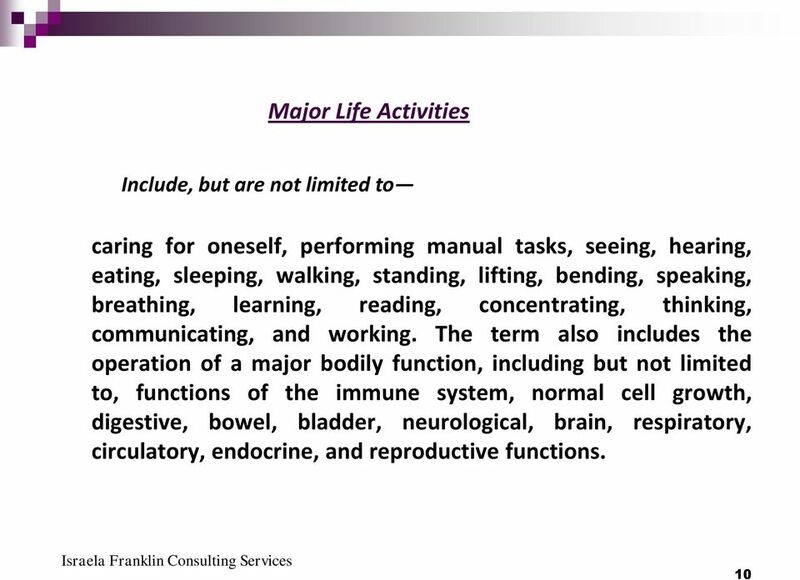 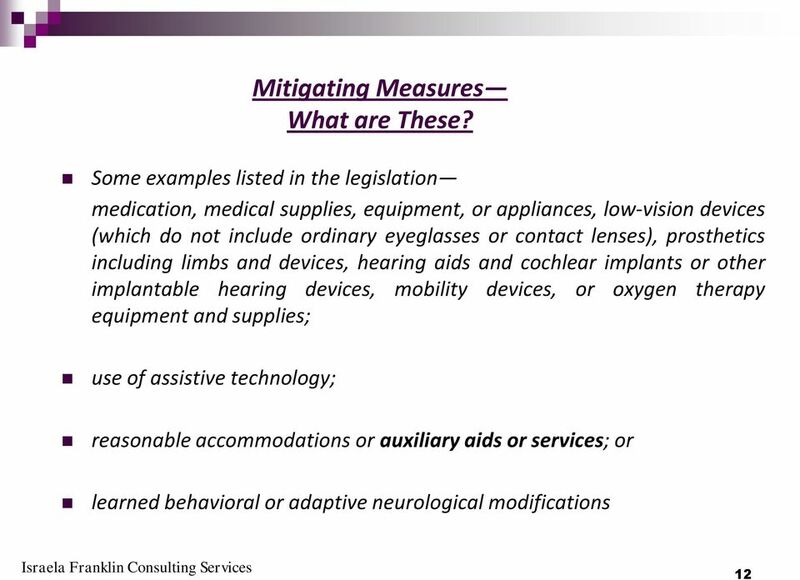 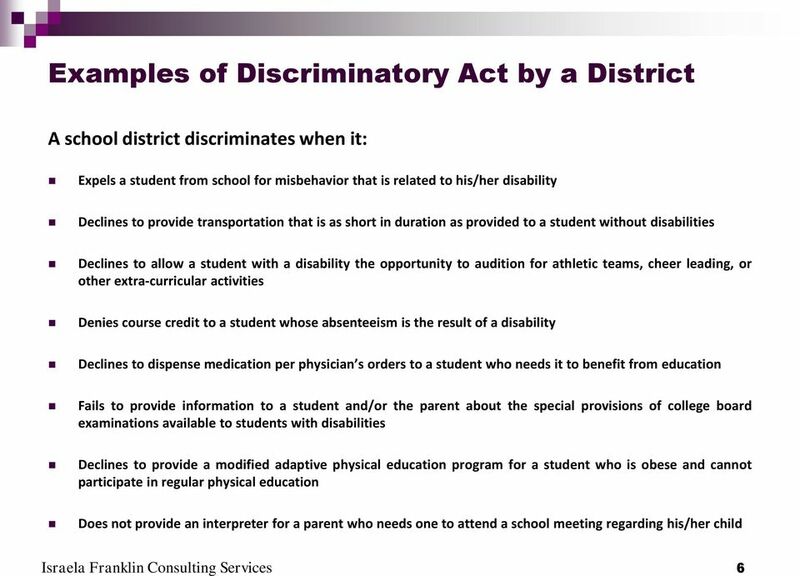 The IEP & Section 504 Guidance for West Virginia Schools and Districts Office of Special Programs West Virginia Department of Education December 2014 West Virginia Board of Education 2014-2015 Gayle C.
CAN A CHILD WITH A CHRONIC HEALTH IMPAIRMENT OR SERIOUS ILLNESS GET SPECIAL HELP FROM HER SCHOOL? 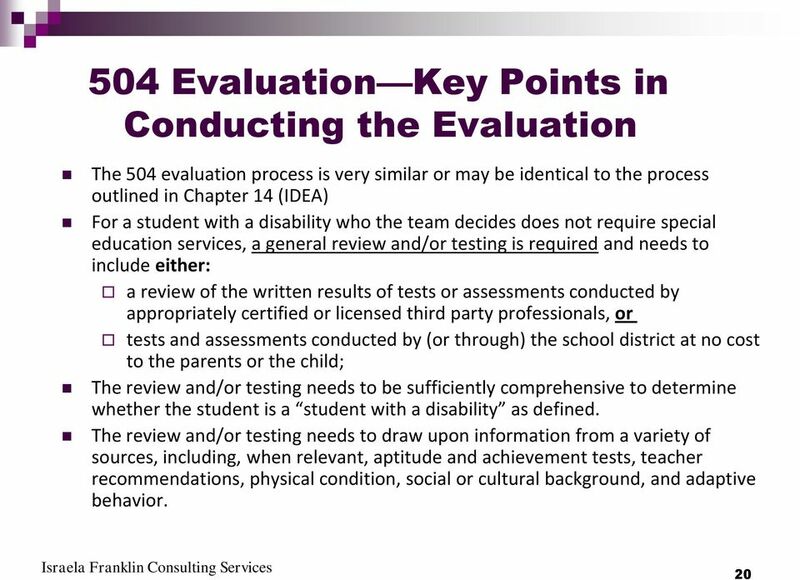 U.S. Department of Justice Civil Rights Division Disability Rights Section Testing Accommodations Standardized examinations and other high-stakes tests are gateways to educational and employment opportunities. 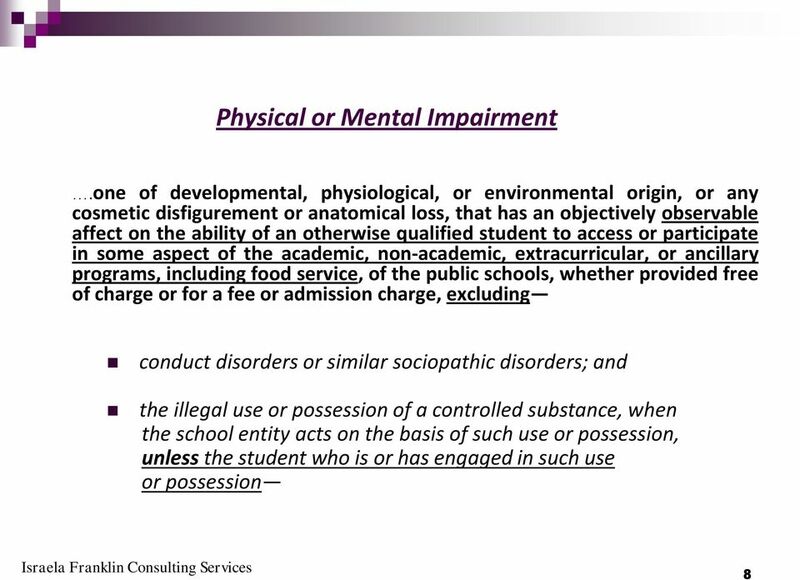 The Northern Lakes CMH Recipient Rights Officer is designated as the Substance Abuse Program Recipient Rights Advisor. 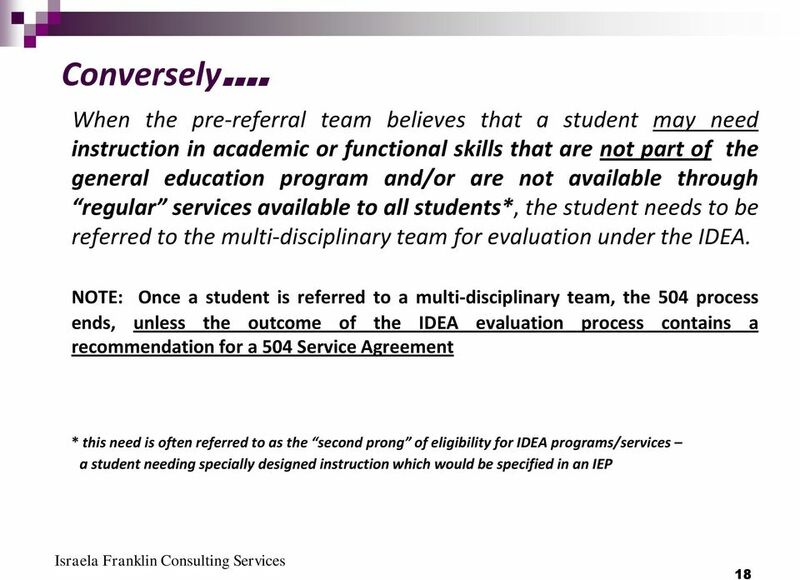 If however, there IS a change in the type of support or type of service, the student MUST stay put pending due process. 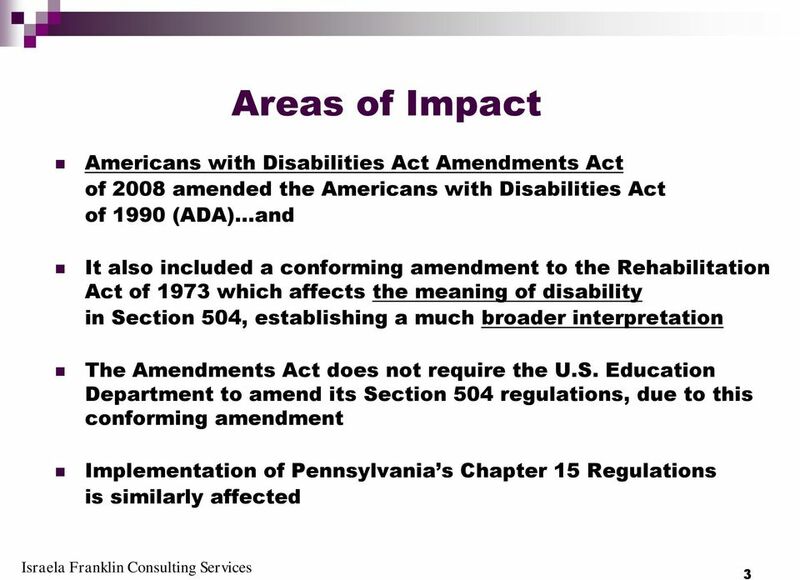 Advancing the rights of Marylanders with disabilities.